Conditions that may be apparent from physical signs and symptoms may be clearly seen, providing better information to determine appropriate diagnosis and treatment. Hartford Hospital's section of Magnetic Resonance Imaging (MRI) uses advanced technology and provides approximately 1,000 diagnostic exams monthly. Our clinical staff includes board certified radiologists and MRI technologists with advanced training in MRI. We offer daytime, evening, and weekend appointments to accommodate your scheduling needs. Accredited for MRI from the ACR The Hartford Hospital Imaging Center is accredited by the American College of Radiology for MRI. An MRI requires the patient to lie still to complete the exam. Infants, small children, claustrophobic patients and/or those with severe pain or physical limitations may require sedation to adequately have an MRI exam. If you have any questions regarding the information above, please contact our department and speak with our technologist prior to your scheduled exam. Remove or leave jewelry and / or metal objects at home. Remove keys and watches before your examination. Strong magnetic fields can erase the information on credit cards. Gold wedding rings are non-magnetic and may be worn. Lockers are provided if needed. If possible, remove eye make up, wigs, hairpieces, hair extensions and hairpins. Materials in these products can interfere with accurate interpretation of your images. Dressing rooms are available on site. Bring your most recent x-ray, CT or MRI scans. Bring your health insurance information, physician referral and any necessary forms. Check in 15 minutes before your scheduled appointment time to register for your MRI exam and complete screening forms. 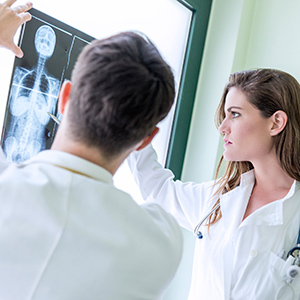 Arrive at the radiology reception desk 30 minutes before your scheduled appointment to register for your MRI exam and take your prescribed medication. Plan at least 45 – 60 additional minutes to complete the exam. Plan to rest for the remainder of the day. Do not drive, operate machinery or make important (legal) decisions for 24 hours following the use of sedative medication. Do not eat or drink anything from the hour of midnight before your exam. Conscious / IV sedation requires an empty stomach. MRI examinations are painless. All MRI exams involve strong magnetic fields. For your safety, each MRI appointment requires completion of a screening form to identify any condition you may have that could prevent a MRI examination. Before your scan, our MRI technologist will review your medical/allergy history and answer any questions you may have. We will keep you informed and support you throughout the study. We will be there to alleviate any fears you may have about the procedure. Some MRI examinations require the use of intravenous (IV) contrast to enhance the results of your study. This injection, performed by a radiology nurse or technologist, is placed in a vein in your hand or arm. Contrast reactions/allergies to the MRI contrast agent, Gadolinium, are extremely rare. You may be asked to change into a gown before your examination to avoid possible magnetic interference from buckles, snaps, zippers, earrings or silk screening. You may need x-rays of the orbits (eyes) to exclude the possibility of metals shavings. This will only be necessary if occupationally exposed to such. Your MRI scan will take place in a specially designed room. You will be helped to lie down on a padded table. The body part to be studied is positioned in the center of the magnetic field. Motion can distort images, so you will be asked to lie still for periods of 5 to 15 minutes while being scanned. Total examination times vary from 30 minutes to 1 hour or more depending, on the information needed. While the machine is in operation, it is normal to hear intermittent humming and thumping sounds. An intercom system in the room will enable you to communicate with the technologist at anytime during your scan. All rooms are air-conditioned, and listening to music is optional in our department.